Gone Berserk: I think this speaks for itself. Instant analysis: they're picking up where the recent three-movie cycle left off, and — coincidentally enough! — where the TV series also left off. I'm in. Need you even ask? Bring it on, Netflix: Netflix's experiments with anime are growing a little bolder, as its newest streaming acquisition, Kuromukuro, will be released as a simulcast rather than an all-at-once binge-watch. I haven't been able to find out much about the series, but this is closer to Netflix's "older" model of being a content portal rather than a content creator a la HBO. Also -- Noteflix? : Remember that Hollywood live-action Death Note project that nobody who knows anything about the property wanted? Well, it's not happening as a feature film anymore; it's headed to Netflix, too. I still have absolutely zero hope for this project being anything other than a cynical cash-in on a familiar name, but hey, stranger things have happened. More discs from the Discotek: Everyone's favorite nostalgia merchant (certainly one of mine), Discotek Media, has a slew of new — er, old — er, you get the idea — licenses in the can: A Wind Named Amnesia, Pilot Candidate, and Soul Hunter. 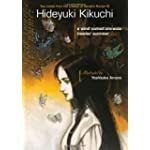 The first on that list has some name recognition, as it's based on a novel (since released in English) by Vampire Hunter D creator Hideyuki Kikuchi, whose career as an author is actually a good deal more varied than that title alone would suggest. I'm just curious enough to cop both the book and the DVD once it hits and say something about both. The beat that our hearts skipped: If enough fans have something to say about it, it won't be skipped, as the Kickstarter to bring an English-dubbed version of Skip Beat! to home video in English is very close to its goal, albeit with only five days left on its Color Timer. Even if you're not familiar with the show (and I'm only familiar with it by name), this business of using KS to pave over the gaps in Western anime licensing is starting to become less of a niche thing and closer to the way some part of the business is being done regularly. A for AKIRA: Anniversary re-issues of classic titles are s.o.p. in media, and later this year Kodansha has a whopper lined up: a hardcover box set of none other than Katsuhiro Otomo's AKIRA, in an all-new presentation. (When originally released in English, it was derived from masters used for the French release; this one is a from-the-roots remastering.) Even better news, possibly, is word that the Big K will be continuing with the highly lauded if not smash-hit-selling Vinland Saga. 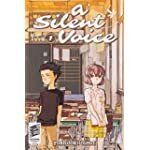 Silence is golden: A Silent Voice, the highly lauded story of a deaf girl and the bully who becomes her friend (another one I have to get around to talking about someday), has some media to show off ahead of the release of its feature film animated adaptation. Side note: I can see a Western adaptation of this material working out very well.